(USAToday) -- What's yet to be discovered about Whitney Houston, one of the most famous and scrutinized entertainers in history? 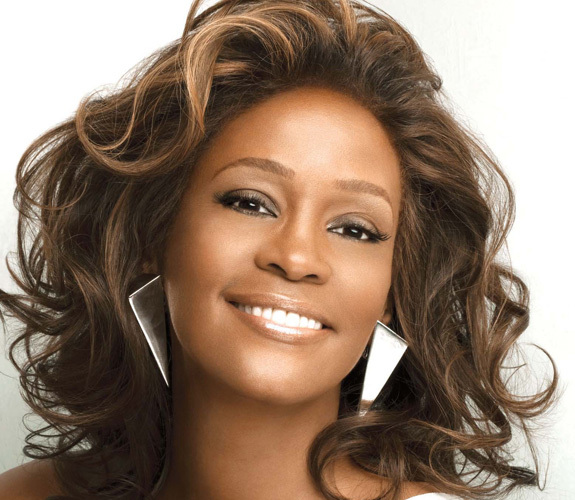 Insights and intimate glimpses into her life and career emerge in Whitney! Celebrating the Musical Legacy of Whitney Houston, the first major exhibit devoted to the late pop legend. It opens Wednesday at the Grammy Museum in Los Angeles and runs through February. Curated in cooperation with her family and mentor Clive Davis, the artifacts, rare photos and videos chronicle the journey of a church-bred singer who rocketed to multi-platinum glory, selling a combined 170 million albums, singles and videos. Among the highlights are her Bible, high school diploma and yearbook (she was the only black student in her class), scrapbooks, choir robe from the New Hope Baptist Church in Newark, and stage gowns, including the white-beaded dress worn when she accepted three 1992 Grammys. Footage includes interviews with her mother, Cissy Houston, and producers David Foster and Ricky Minor. Photos capture the public Whitney (with Nelson Mandela, singing the national anthem at the 1991 Super Bowl, meeting George H.W. Bush at the White House) and the private (as a child, at home, prepped for a high school formal, with Michael Jackson at Neverland). "We're trying to create a story rather than just a showcase," says Bob Santelli, Grammy Museum executive director. "Some of these amazing photos have never been seen. We couldn't have done this without the family. They gave us carte blanche. "The idea is to interpret her career musically, to have people realize why she's considered one of the best vocalists of the 20th century," he says. "She rose to greatness on the strength of a voice that rivals Aretha Franklin and Ella Fitzgerald." Houston died at 48 on Feb. 11 after drowning in a bathtub. Heart disease and cocaine use were cited as contributing factors. Countering attention on her drug abuse and fading splendor, the museum show returns the focus to her talent. "So much has been written about the tragedy of her personal life that it clouds the music," Santelli says. "Let's concentrate on the contributions she's made to popular music and the fact that as a great artist and performer, she left many memorable moments."